Millennium 7 Publishing Co.: How YOU Can Beat Instagram's Alghorithm? How YOU Can Beat Instagram's Alghorithm? 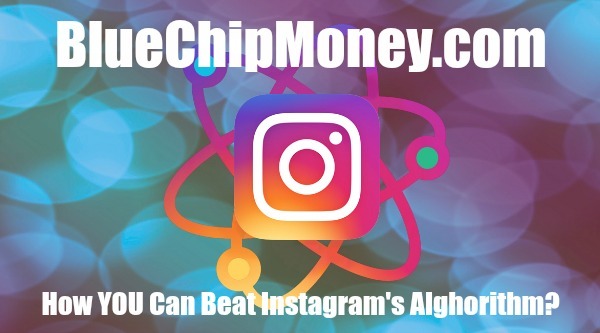 12 Expert tips to beat Instagram's algorighm in 2018.. Growing your Instagram has always been really tough. With Instagram's algorithm always changing, techniques once used in 2017 no longer work in 2018. Staying up-to-date and knowing what works and what doesn't is a full-time job. Instagram pros have spent a lot of time finding and testing the best ways to get the most out of Instagram. Until now, these secret hacks have stayed hidden from the public. In this article, we are going to disclose all the super secret techniques that most Instagram pros don't want you to know about. It doesn't matter if you're a blogger, running a business, or starting a side project, you need followers and engagement. Most articles online will only tell you how to do the easy stuff. Using great hashtags, geotags, and writing good captions are a great start, but why aren't you seeing any difference in your account's growth? Essentially, growth hacking is utilizing the techniques that will help you outsmart and stay ahead of changes to Instagram's algorithm. If you want to know how to make the most out of your efforts for 2018 and beyond, keep reading! --These tactics can be highly effective and can help your account reach amazing heights, but they also have some risks. No free lunch as they say! Make sure you understand these risks before starting. --With any of these tactics, your ability to measure what works and what doesn't will be limited. Using multiple tactics at once means it will be difficult to determine exactly what caused a spike in your account. --If you stop using any of these tactics, you may see a reduction in followers or engagement, as you will not be pushing your account as hard. Related Article: Leveraging Social Media Growth Hacking? Ready to dive in and learn the 14 Expert Tips to Beat Instagram's Algorithm in 2018? Let's get started! By selecting hashtags that are reachable with your current audience, you increase your chances of getting into the "Top Post" section for each hashtag you use (Which increases your exposure). The first third of your post's hashtags should be "Top Tier" hashtags, ones that have a post volume of more than 1 million. The second third should be hashtags that are mid-popular, with a post volume of around 100,000 - 1 Million. The final third of your post's hashtags should have a post volume of 100,000 or below. Remember, you need to combine this strategy with the other techniques listed below (such as likebumps or engagement pods) to achieve the maximum results. In addition, you will also need to analyze the "like range" of the hashtags you are looking to use. What are like ranges? This article tells you everything you need to know about finding the right hashtags for your account! These pods are large groups of Instagram users that like and comment on each other's posts. They typically are differentiated by number of followers and market niche. For example, "engagement pod for fashion bloggers with 100,000-400,000 followers." Related Article: Conquer Social Media With Instagram? Some pods require an entry payment, and some have strict rules. These groups usually congregate around Whatsapp/Telegram/LINE chat groups and you will get messaged when it's time for you to engage with others' posts. After you do so, send a message to your pod after 10-15 minutes to let them know it's their turn to engage with your post. These groups utilize a "like for like" and "comment for comment" strategy, meaning you need to give in order to receive. This requires an enormous amount of upkeep, and you need to be online and monitoring the chat groups to give likes to other users in the pod on time. Also remember, it's good practice to switch pods regularly and to not stick with the same network for too long. Despite what many people say about the ineffectiveness of follow/unfollow, we've found this tactic still works very well. First, find a list of followers from your competitors' accounts that you wish to target, and manually follow each one of them. Use this method to reach out to your target market and get their attention. One of the most effective ways to increase your engagement and the attractiveness of your account to Instagram is to remove followers who do not actively engage with your account. All Instagram really cares about is engagement, so if yours is high, you'll get rewarded. One major caveat to this method is that you need to accept lowering your follower count in order to increase your page's overall engagement. Also important to note is that this task is even harder for large accounts, but it's worth it in the long run. We all know and have seen IGTV since its glitzy launch party in June of 2018. This is Instagram's show at the bow of Youtube's influencer ecosystem. This is very similar to the days when Instagram launched stories. It didn't have much use at the beginning, but over time beat out Snapchat. When IG first launched stories, it was a goldmine for free reach to customers. This is the perfect timing to get into the medium-long video format game. You don't get many chances to be innovative in social media anymore, and IGTV is your chance to do something new. Once you have a channel created, start posting videos! They don't need to have high production value at the beginning, the goal is to experiment with what works, and what doesn't. IG Stories is one of the most used features in Instagram right now. It's easy, quick, and doesn't take much work to produce discoverable content. Stories are situated at the top of everyone's Instagram feed, meaning it's the first thing users see when they log in. Not too many, but discoverability is starting to weaken. With the addition of ads and the increased use of this feature among Instagram users, we predict IG will start making users pay for reach very soon. This tactic is great for boosting engagement. Similar to the follow/unfollow method, this is strictly liking/commenting or viewing the stories of your followers. If they engage with you back, Instagram sees this as a positive attribute to the relationship you have with that user. The downside to this tactic is that you usually have to pay these accounts to give you a like. Fortunately, the boost their likes can give you could be worth it for your account. Ads on Instagram are still the golden ticket to getting exposure, but you need to have the budget. IG ads are Sponsored Feed ads and Story ads that show up when a user is browsing Instagram. It's a great way to reach out, but it can cost a pretty penny. If your product does not resonate with an influencer's follower base, you can't expect to see results. Make sure your goals align with theirs. Guest Authored By Ho Yin Cheung. Ho Yin is the Founder of Riotly Social Media. Follow Ho Yin on Twitter. "Ready to become an Instagram pro?